There are two types of no-hitters, the kind you see coming a mile away and the kind that sneak up on you. Verlander is a master of the first, but Anibal Sanchez (5-4, 64.1 IP, 2.38 ERA, 1.75 FIP, 2.9 WAR) nearly delivered the second tonight as he fell two outs short against the Minnesota Twins. He struck out 12 and walked only 3?enroute to his eight career CG. Early on, he seemed ordinary but the stuff slowly started showing up and once he walked off the mound after the fifth inning, I looked up and thought, “Hmmm. No hits?” That doesn’t typically happen for someone like me who is completely engrossed in the game from start to finish, but somehow it snuck up on me. And then there is was. Sanchez was marching toward history. Six innings. Seven. Eight. Cabrera, Infante, and Kelly each backed him with two runs driven in and it was never in doubt. 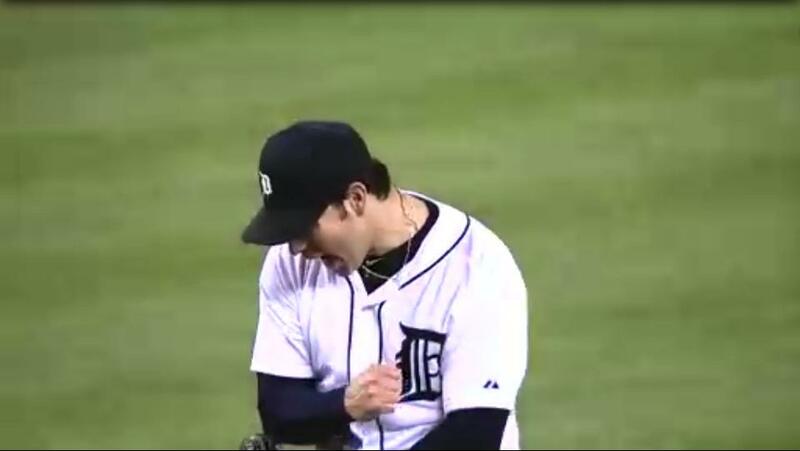 As crowd buzzed more with every pitch, #19 rose to the occasion, willing him to throw the first Tigers no-hitter by someone other than Justin Verlander since Jack Morris in 1984. With the top of the order up in the 9th, Sanchez went to work. Carroll down on strikes. And then Joe Mauer, JOE MAUER, singled back up the box to ruin everyone’s day. He got Willingham on strikes and then Morneau with the same. The win, their fourth straight, improves the Tigers to 27-19 on the year and they will look to win the series tomorrow afternoon behind Doug Fister (5-1, 54.2 IP, 3.62 ERA, 2.75 FIP, 1.7 WAR). The Moment: Sanchez gets the final out (see above) after loosing the no-no two batters earlier.